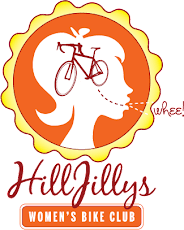 Kristy has missed riding with the HillJillys so much that she's going to lead back-to-back rides: this week, it's a mountain outing in Annadel. Weather is looking good for this weekend, and the trails are nice and tacky--and not too muddy yet. (Good chance that Kim will join up for at least part of this one, too!) RSVPs appreciated! Meet Saturday, 9:30am, on Channel Drive at the bottom of Cobblestone. The know-how to go now: beginner-friendly, everyone welcome, and no one left behind!